 How to set an innovation competition agenda? 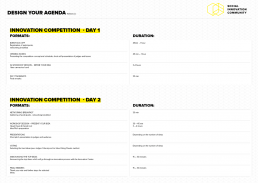 Design your agenda tool serves as an agenda preview for social innovation competition. This tool is designed to assist you systematize the event activities suggested in this training curriculum and that way help you manage the event from the organizational perspective. Use this tool as a basic template when structuring your event agenda. A simple table will give you an overview of the most important event elements such as workshop session, pitching ideas etc. Feel free to add your activities and enrich your event agenda with interesting guest speakers, expert lectures, best practice examples etc.